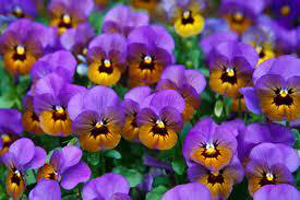 Spring is the time to plant some annuals. Photo credit: Sunnyside Nursery. Assess winter damage—this will be an ongoing chore this spring. The hard freezes we had earlier in the winter are going to reveal themselves slowly this spring. Tender shrubs and perennials may try to leaf out and then collapse and conifers will linger on far into June before we know for sure if they are dead. Plants that were in containers over the winter may have root damage and struggle to get going this spring and either kick into gear or crap out by the end of this month. We had a couple of late frosts near the end of March which nipped the hydrangeas and Pieris to name a few but they should grow out of this damage just fine. It is the hard freezes of winter that will test our patience and my philosophy has always been: When in doubt, pull it out. Roses—(spoiler alert—I used to have a rose garden of 80-100 roses in the front of my house but after several years of watching the first blooms turn to mush in June I went postal one spring and tore them all out and so no longer have any roses in my garden). But if I did I would cut them down to 12-18 inches tall and reduce them to 4-6 canes (even if they already have new leaves). Then I would apply some organic rose food and lime and an inch of new compost. To control mildew, rust and black spot and insects I’d apply a systemic drench around the base and water it in. This will prevent future infections for up to 6 weeks. Natural and organic pesticides will work too but you will need to apply them weekly during the spring months. The key to eliminating fungus issues is prevention so don’t wait until your leaves are falling on the ground from black spot to do something. It’s too late then. Lawns—My lawn is looking pretty darn good right now but then so is the moss in the shadier parts of the yard. Control moss with iron sulfate now and follow up in two weeks with an organic fertilizer. Dandelions are blooming all over town and they are really quite pretty but they will take over the lawn if you don’t control them. They are surprisingly easy to kill so do it now before they spread new seeds all over hell and gone. If you need to reseed your old lawn April is the consummate month to accomplish this task. Avoid weed and feed products and spot spray weeds as needed. Pruning—There is always something to prune in the garden, no matter what time of year it is. I already mentioned roses but hydrangeas can be cleaned up now to remove any dead wood and old flower blossoms. Red twig dogwoods should be cut back hard now and grapes and kiwis need serious pruning to keep them in check and control the amount of fruit they will set. Same is true for wisteria but be careful not to prune off the blooms. They are swelling now so should be easy to see. Peaches also need heavy pruning every year to keep them in a vigorous state of growth. More chores next week. Steve Smith is owner of Sunnyside Nursery in Marysville and can be reached at 425-334-2002 or online at info@sunnysidenursery.net.